Enjoy a wonderful elephant trek at safari camp. Our camp is located on a hill with fantastic views over Phuket and is about 30 minutes away from the most popular beaches such as Kata, Karon, Patong. Elephant trekking is a unique opportunity to interact with Thailand’s gentle giants in their native jungle environment. 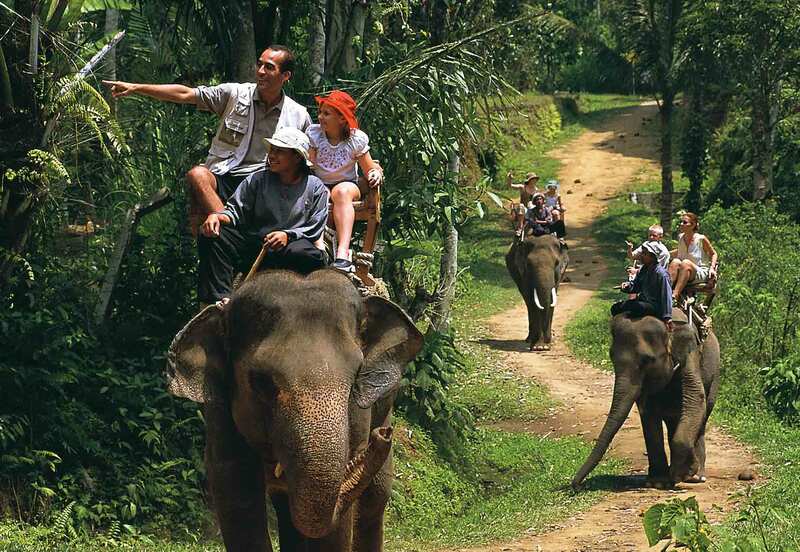 You will also experience a taste of authentic mahout life as you take part in their daily routine with the elephants. 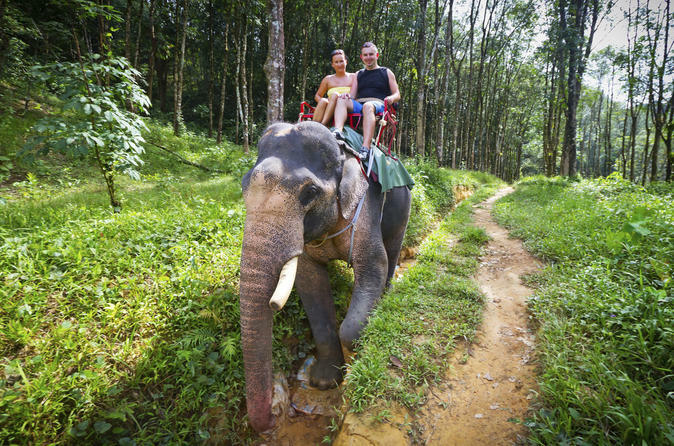 Sit atop an elephant’s back in a special basket for two people and you will begin your journey through enchanting jungles exactly the same as Thai people did hundreds years ago. Jungles haven’t changed much since this time, you will see exotic and unique wildlife like nowhere else in the world. A mahout will always be with you and his elephant. 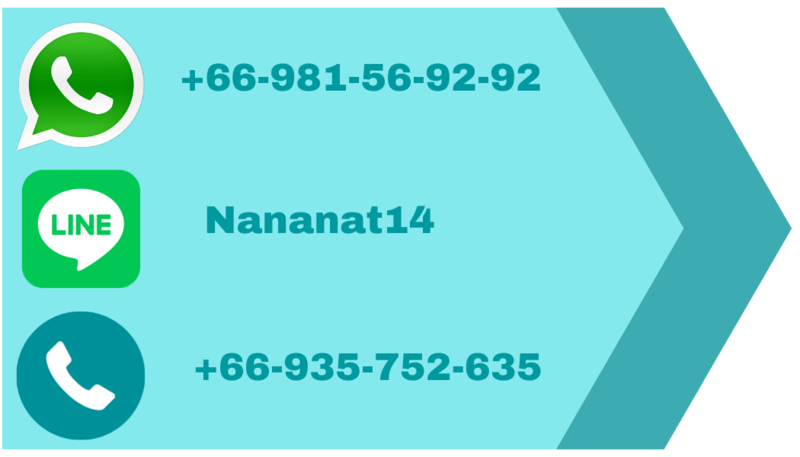 He is ready to help in any situation and answer all your questions. He will lead you and the elephant during this 30-minute trek. Along the journey, you will see the strong bond that exists between the mahout and his elephant. The elephant is a part of the mahout’s family and soul. The total duration of the tour, including transport to and from your hotel is approximately three hours. BOOK NOW AND PAY LATER. WE DON’T TAKE ANY PRE-BOOKING DEPOSIT YOU PAY THE WHOLE AMOUNT WHEN YOU REACH OUR ELEPHANT CAMP ON A DAY OF YOUR TRIP. 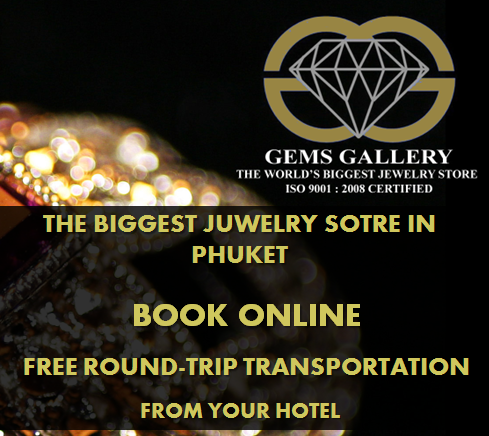 WE ACCEPT THAI BAHT ONLY.